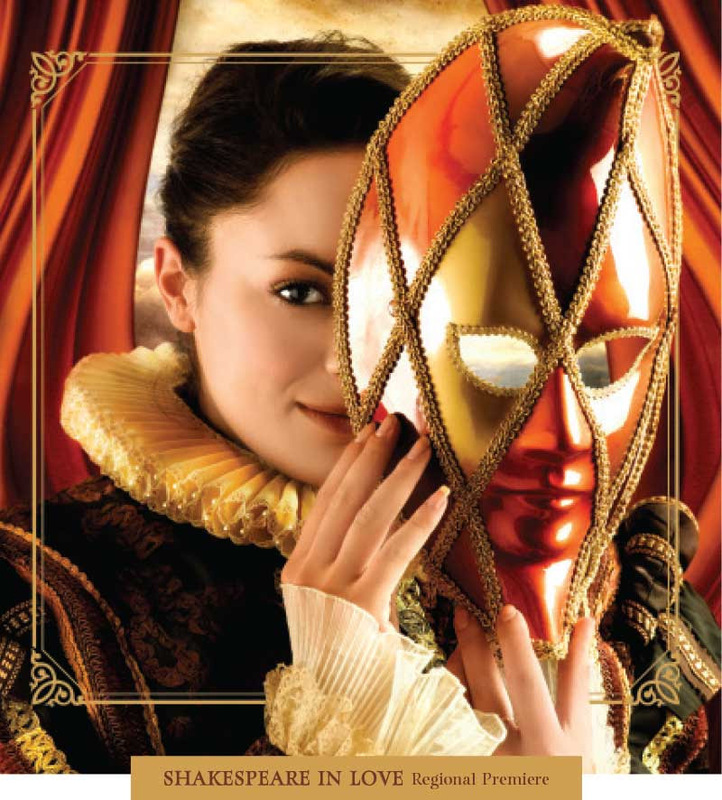 Shakespeare in Love in the Engelstad Shakespeare Theatre this summer will provide an interesting perspective to the Bard's work. 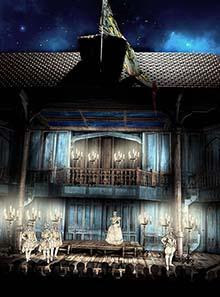 Among other places, much of the action takes place in an Elizabethan Theatre, both onstage and backstage. The costumes and scenery, therefore, must reflect the styles of Shakespeare's day; but they must also help carry forward the action of an Elizabethan play being rehearsed and performed in a sixteenth century theatre, all staged within the Festival's beautiful new outdoor theatre. John Wascavage (left) as The Suspects and Paul Helm as Marcus Moscowicz in Murder for Two. 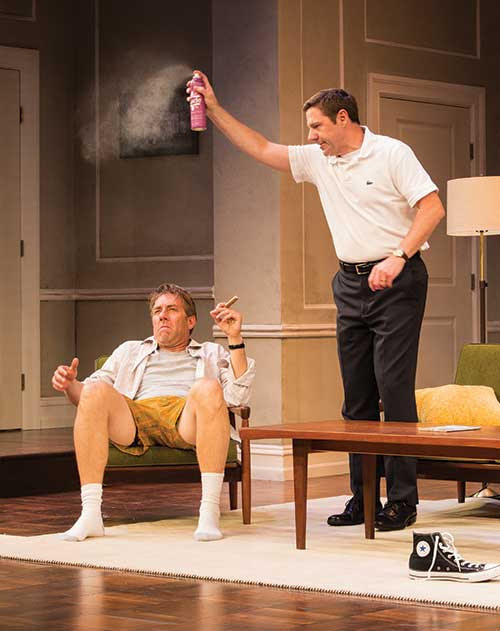 David Ivers (left) as Oscar Madison and Brian Vaughn as Felix Ungar in The Odd Couple. Saturday is the end of what has been the most exciting season in the fifty-five year history of the Utah Shakespeare Festival. Two new theatres at the Beverley Center for the Arts and eight eclectic plays received rave reviews from critics and audiences alike. But it's not over yet. The Odd Couple, Murder for Two, and Julius Caesar continue through Saturday. Tickets to The Odd Couple are still available--but act now, the remaining tickets will go quickly. 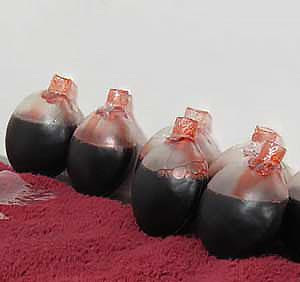 Blood "squeakers" ready for the next showing of Julius Caesar. Betrayal. Politics. Power. These are thematic elements that come to mind when one thinks of Julius Caesar, but in the Utah Shakespeare Festival's current production in the Eileen and Allen Anes Studio Theatre there's something else that's essential to the play: blood. Participants in the ensemble portion of the annual Shakespeare Competition. 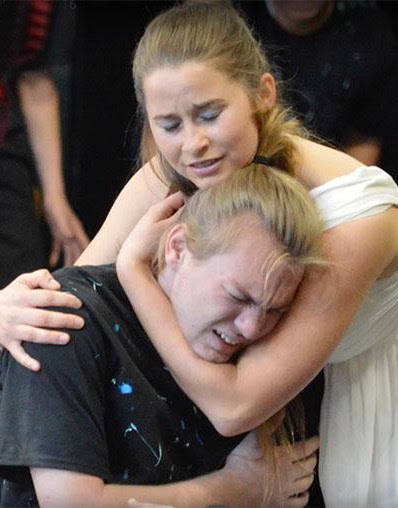 The fortieth annual Shakespeare Competition, hosted by the Utah Shakespeare Festival and Southern Utah University, recently gave out dozens of awards and scholarships to drama, dance, and music students. The competition is the largest scholastic Shakespeare competition in the country, and this was a record-breaking year with over 3,000 students from 106 schools in six states. 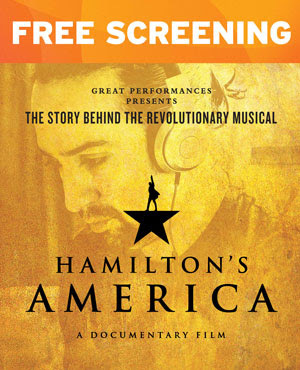 Don't throw away your shot to see a screening of the PBS Great Performances documentary Hamilton's America, the story behind the revolutionary musical. The event is free on October 20 from 6 to 8 p.m. in the Church Auditorium in the Sharwan Smith Student Center at SUU. It will feature a keynote presentation by SUU Professor Michelle Orihel and Michael Bahr, education director at the Utah Shakespeare Festival. Want the perfect costume for Halloween this year? Something that will "wow" your neighbors, co-workers, and friends? Well, the Utah Shakespeare Festival can help. 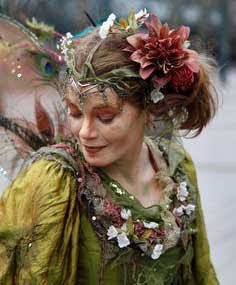 We have assembled on our Pinterest boards hundreds of ideas for costumes, hair, and makeup that will make you the envy of the all the ghouls and goblins (or fairies, waiting ladies, and noblemen). With all the new buildings at the Utah Shakespeare Festival, it may appear that we are living the high life and have no need of our generous friends. However, nothing could be further from the truth. Our annual costs to maintain these buildings, as well as stage our plays and continue our education offerings (many of them free) continue to climb. We have not met our fundraising goals for 2016; and we need your help. 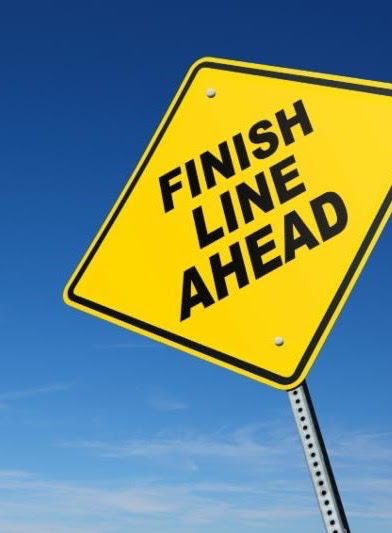 Please click below to see how you can help us get to the finish line. John Wascavage (left) as The Suspects and Paul Helm as Marcus Moscowicz. Can't Get Tickets to Murder for Two? Check Out These Two New Dates! 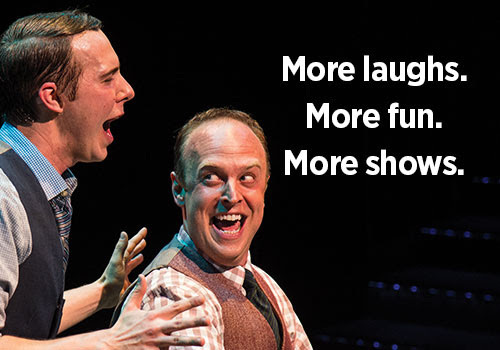 The Utah Shakespeare Festival's production of Murder for Two has become such a hit that almost all performances for the rest of the season are sold out. So, to accommodate the many guests who still want to see the show, the Festival is adding two additional performances: October 17 and 19 at 7:30 p.m.in the Eileen and Allen Anes Studio Theatre. "Murder has never been so much fun." To purchase tickets, call 800-PLAYTIX or order online. So choose one. Choose them both. Or leave it to the fateful toss of a coin. The Festival has plenty of plays running through October 22, but four very popular shows are ending soon. Mary Poppinstakes its final bow September 3, and Much Ado about Nothing, The Three Musketeers,and Henry V close the following week. At times, these tickets have been hard to find, but right now we have tickets available for every show. Oscar Madison and Felix Ungar have become synonymous with dysfunctional roommates. The characters, and their play, have been adapted into a cornucopia of comedies. Now, the Utah Shakespeare Festival is bringing them to its stage, featuring two of Utah's most beloved actors. Before we engrave your name permanently in granite, please let us know if it is spelled correctly. "The most noteworthy summer theater complex in North America."